Futures for the Dow Jones Industrial Average today (Thursday) forecast a 265-point decline after European markets cratered and the U.S. 10-year bond fell 1.6%. The U.S. dollar is at a 16-month low against the yen as traders continue to purchase gold and bonds. Concerns about the European financial sector remain in focus as the continent continues to swim in debt. Yesterday, the Dow Jones fell 99 points as markets reacted to U.S. Federal Reserve Chairwoman Janet Yellen's testimony before Congress on the health of the U.S. economy. 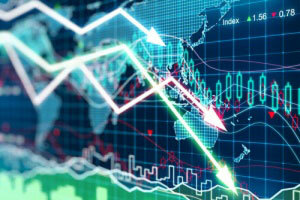 Stock Market Today: Traders will watch weekly jobless claims, the EIA natural gas report, and the Fed Balance Sheet. In addition, Fed Chairwoman Janet Yellen will testify before the Senate Banking Committee on Thursday. Yesterday, Yellen questioned the legality of negative interest rates during her testimony before the House of Representatives. Yellen said struggles in the financial sector and the ongoing contraction of the Chinese economy were threats to the U.S. economy; however, she also added the central bank is very unlikely to cut interest rates again in the near future. Oil Watch: Crude oil prices cratered again today as concerns about global demand and a rising supply glut weighed on trader sentiment. WTI crude oil dipped 2.9% to hit $26.61 per barrel. Meanwhile, Brent crude slipped 2.0% to hit $30.21 per barrel. Prices are back near 2003 lows as multinational energy companies continue to slash capital expenditures. Earnings Report No. 1, GRPN: Shares of Groupon Inc. (Nasdaq: GRPN) are in focus as the online discount retailer reports fiscal fourth-quarter earnings after the bell. Wall Street anticipates that the firm will report per-share earnings of $0.00 on top of $840.97 million in revenue. Earnings Report No. 2, P: Shares of Pandora Media Inc. (NYSE: P) are moving this morning as the company plans to report earnings after the bell on Thursday. Consensus expectations call for an EPS of $0.07 on top of $333.42 million in revenue. Earnings Report No. 3, PEP: Shares of PepsiCo Inc. (NYSE: PEP) were on the rise this morning after the company reported a 2% gain in profits thanks to an increase in pricing. The firm cited a stronger dollar as a reason why growth was held back slightly. The firm reported an EPS of $1.06, in-line with Wall Street expectations. The soda giant also beat bottom-line revenue forecasts. Pepsi said that quarterly profits were up 31%, but issued a weak 2016 outlook. Additional companies reporting quarterly earnings include TripAdvisor Inc. (Nasdaq: TRIP), Wynn Resorts Ltd. (Nasdaq: WYNN), Activision Blizzard Inc. (Nasdaq: ATVI), CBS Corp. (NYSE: CBS), and Monster Worldwide Inc. (NYSE: MWW). Stocks to Watch No. 1, TWTR: Shares of Twitter Inc. (NYSE: TWTR) slumped more than 6.8% this morning after the company reported no quarterly growth in users for the first time since it became a public company. The stock has now declined more than 50% since co-founder Jack Dorsey returned to the role of CEO in July 2015. Stocks to Watch No. 2, TSLA: Shares of Tesla Motors Inc. (Nasdaq: TSLA) jumped more than 4.5% in pre-market hours after the firm announced that it will likely become profitable this year. Stocks to Watch No. 3, JPM: Shares of JPMorgan Chase & Co. (NYSE: JPM) continued to decline more than 2.4% this morning as concerns in the global financial sector reverberate across the market. Shares of Goldman Sachs Group Inc. (NYSE: GS) slipped more than 1%.